PESONA METRO Holdings Bhd’s share price reversed gains made in the previous weeks, falling 24% to 71.5 sen apiece, after it announced on April 27 the acquisition of a concession business for RM60 million. 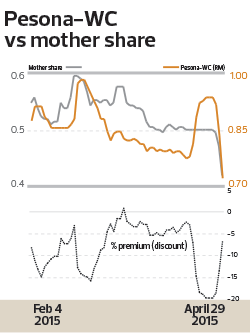 The company’s warrants, Pesona-WC, also saw a similar decline, falling 17% to 41.5 sen. At this price, the warrants — which have a strike price of 25 sen — are trading at a 7% discount to the mother share. Although the discount used to be bigger, at about 20%, the warrants may still be worth looking at since the prices of the shares and warrants have corrected sharply. Recall that Pesona Metro plans to acquire a 90% stake in Selasih Asli Sdn Bhd (SASB) for RM60 million from Semarak Korporat Sdn Bhd. SASB is a special purpose vehicle that was created to enter into concession agreements (CAs) with the relevant authorities for the design, development and maintenance of student hostels at tertiary institutions. Pesona Metro’s core business is in construction services and infrastructure works. The company has been profitable, reporting a net profit of RM8.2 million on revenue of RM267.4 million for the financial year ended December 2014. It is worth noting that SASB has yet to commence operation, hence the price paid may appear a little steep. Furthermore, the CA between SASB and the authorities is yet to be signed. The lack of clarity in the CA has put downward pressure on Pesona Metro’s share price. However, it is understood that the CA could be signed next month or so. On top of that, the purchase consideration of RM60 million is pegged to a presumed valuation of RM70 million for the CA. In the event the CA is revalued to more (or less) than RM70 million, the purchase consideration will also be adjusted. Pesona Metro will be paying RM3 million cash while the remaining RM57 million will be settled with the issuance of new Pesona Metro shares. The number of shares to be issued will be based on the five-day volume weighted average price and set 45 days after the CA is signed. Looking ahead, the potential catalyst for the warrants will be the signing of the CA. 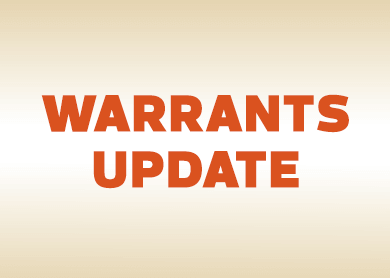 The warrants also have a long lifespan — expiring in January 2020. However, the recent sale of warrants by controlling shareholders Wie Hock Kiong and Wie Hock Beng could affect sentiment on the stock. Hock Beng is the managing director of Pesona Metro while Hock Kiong is a non-executive director. The brothers disposed of 109.75 million warrants for RM39.446 million or 35 sen apiece on April 21 in a direct business transaction. It is unclear who acquired the warrants, but it was done well below the market price, which was hovering around 50 sen at the time.